The Polish word for yeast is drożdże and drożdżówka is any sweet cake or bun made using yeast. 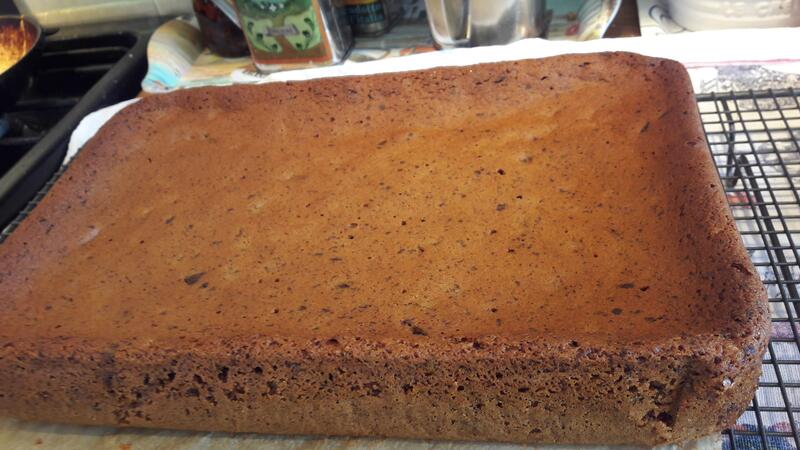 Often the cake is a large flat cake ( placek) made in a large roasting tin. This yeast cake is made with plain flour not strong flour and the mixture is mixed with a wooden spoon to form a soft mixture and is not kneaded. My late father has two cousins living in Białystok, North East Poland, they are both wonderful cooks. This yeast cake is based on a recipe given to me by one of these aunties. As with any recipe made with yeast, timings are so unpredictable depending on many variables including the room temperature. I always bake with yeast when I am at home for most of the day with other activities to do whilst waiting for the dough to rise etc. Mix the yeast with 2 tablespoons of the milk and 1 tablespoon of the sugar and leave this till it starts bubbling. In a bowl whisk together the egg and 1 tablespoon of the sugar. Add the oil and whisk again. Add the milk and the raisins or sultanas and mix well. Add the flour and mix this all together with a wooden spoon to form a very loose, soft dough. Cover the bowl with clingfilm or a cloth and leave in a warm place to rise. Make the crumble topping by rubbing the butter into the flour until the mixture resembles bread crumbs and then stir in the sugar. Grease and line a large roasting tin. 25cm x 34 cm or 22cm x 32cm. Put the risen dough into the tin – use a spatula to spread it out. Sprinkle the crumble mixture over the top and leave to rise again. Place the risen cake into the oven and bake for 15 minutes. Then lower the temperature to GM5 – 190°C and bake for another 10 minutes – keeping an eye on this and cover with foil if it looks like it is burning. You might want also want to move it down a shelf for the last 5 minutes. Leave to cool in the tin for about 5 minutes then take it out and remove from the greaeproof paper – so it does not go soggy on the base. Served on Sonnet by Royal Doulton, 1971 – 1998. As with most yeast cakes this is best eaten as soon as possible as it will soon go stale – you might need to invite round lots of friends and family! 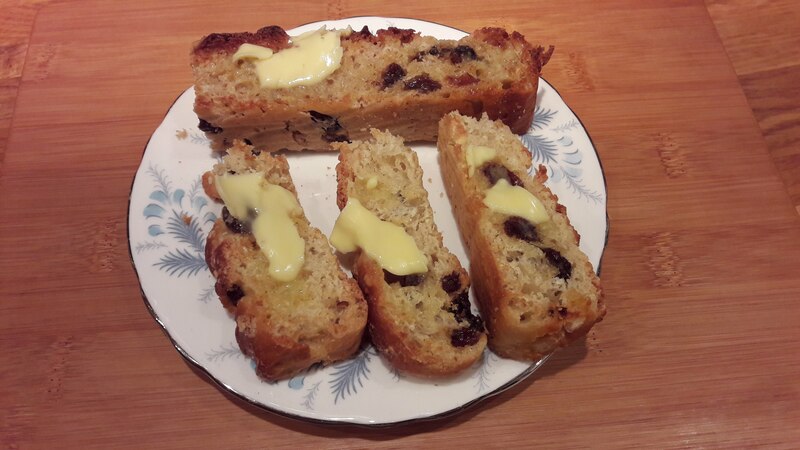 If all is not eaten on the day of baking, I cut the cake into slices and pack into a plastic container and freeze – these are then toasted and served with butter at a later date. Toasted and buttered yeast cake served on Las Palmas by Aynsley from the 1960s. The dried fruits added can be varied and I have made this with raisins, mixed peel and 1 teaspoon of mixed spice. Served on Counterpoint by Royal Doulton, 1973 – 1987. Other dried fruit options can be used, such as apricots, cranberries, pears or prunes and so on, chopping larger fruits into small pieces. I made this with apricots, sultanas and a 1/4 teaspoon of vanilla essence. The dried fruits add sweetness to the cake and I think the small amount of sugar works well – you can if you like add a few extra tablespoons of sugar. 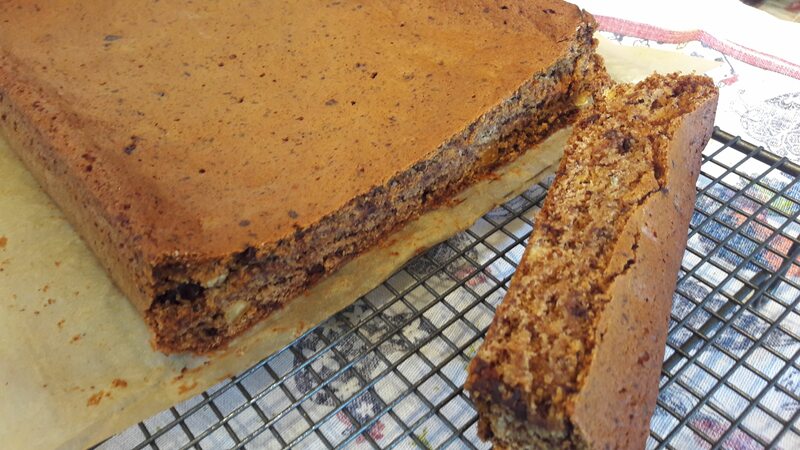 This is the same recipe as the Hazelnut tort only here ground walnuts are used instead of hazelnuts. I used the 6 egg recipe and made it in 2 x 18cm sponge cake tins. 2 sponge fingers – crushed. 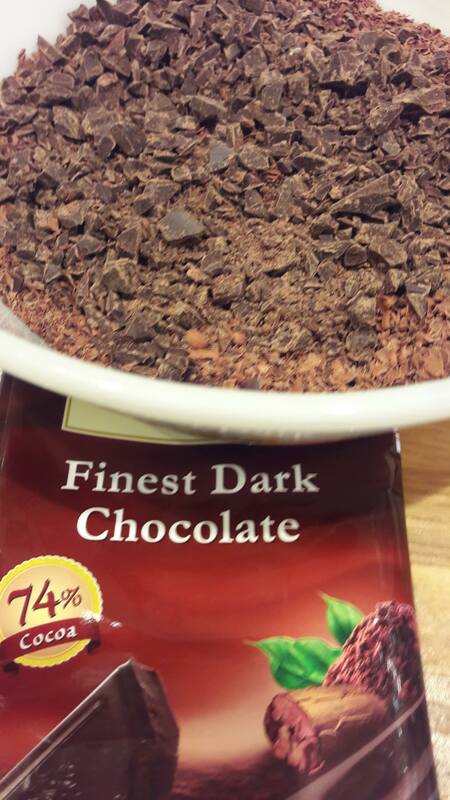 Optional – extra chopped walnuts for sprinkling on the butter cream or grated dark chocolate. 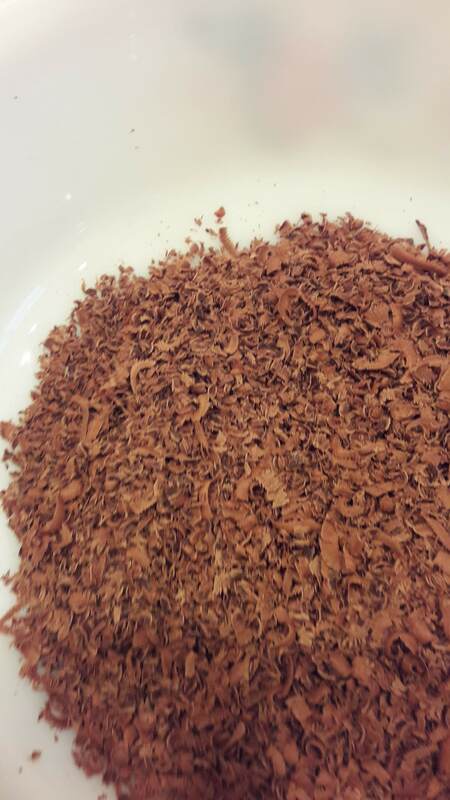 You will need to grind the walnuts and of course an electric grinder makes this very easy. It is best to chop the walnuts into small pieces as this will make it easier and grind the walnuts in small batches so as not to over strain the motor. Pre-heat the oven to GM5 – 190°C. Grease and line 2 x 18cm in diameter tins. Crush the sponge fingers and mix them with the ground walnuts. Whisk together the eggs and sugar until they are pale and frothy. Fold in the walnut mixture. Divide the mixture between the two tins and bake in the oven for around 20 minutes. Allow the cakes to cool . Drizzle each cake with a poncz (sweetened punch). I used 50ml of weak black tea, 1 tablespoon of rum and 1 tablespoon of sugar. Sandwich together with a butter cream & cover the top and sides also. The following flavours are good with walnuts. I used a rum butter cream made from 80g butter, 1 egg yolk 1 tablespoon of rum and around 230g of icing sugar. Cream the butter and the egg yolk and add the rum. Mix in the icing sugar until you have the desired consistency. More butter cream would have been better – I was trying to use the minimum this time! I added chopped nuts to the top and sides (I used a cake stand with a small lip – a totally flat stand would have make it easier to add the nuts to the sides). 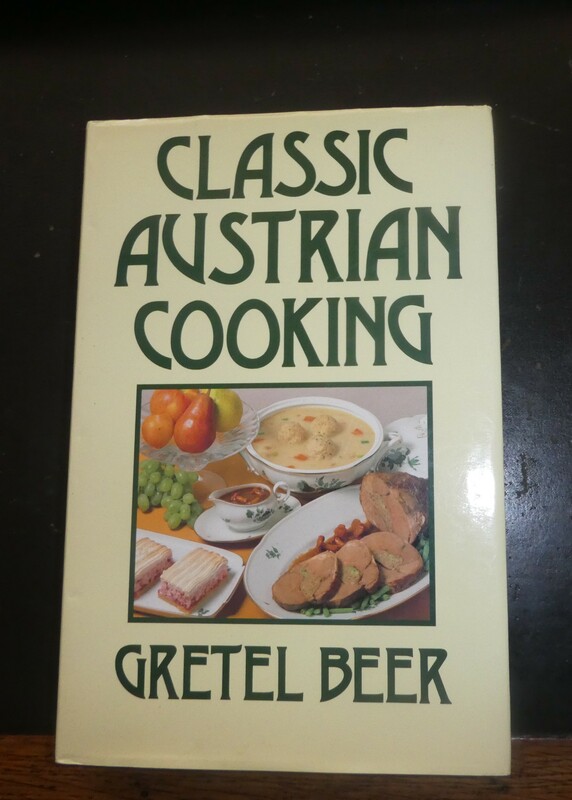 A few weeks ago I bought an excellent Austrian cookery book in a charity shop. I know that there is a lot of overlap & influence between Polish & Austrian Cookery and have enjoyed looking at this book and comparing my recipes with ones here. For several of the cakes apricot or redcurrant jam is used to cover the top and sides of the cake before icing it. For a walnut gateau, similar to my recipe, redcurrant jam is used. 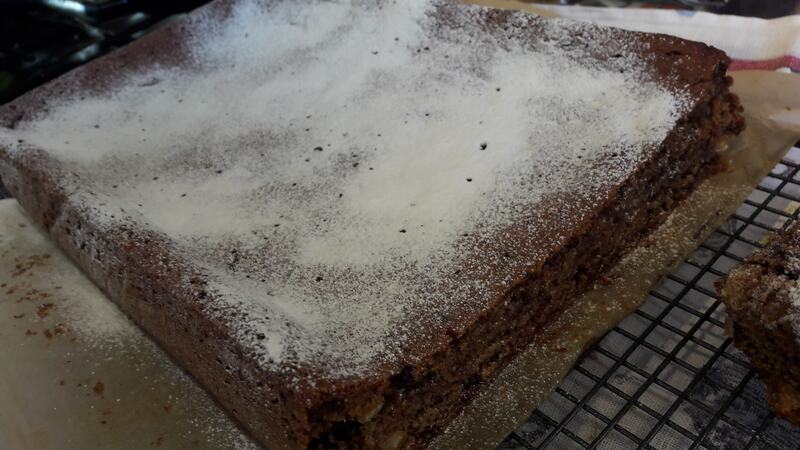 I decided to do a variation of this with my walnut tort and to use raspberry jam. The 2 cakes were made as above. A poncz(sweet punch) was used made from 50ml of weak black tea and 1 tablespoon of sugar to drizzle the cakes. The cakes were then sandwiched together with a raspberry butter cream using 60g Butter, 180g icing sugar & 2 tablespoons of raspberry jam which were creamed together. Then the top and sides were covered with raspberry jam, warmed slightly for ease of spreading and then this was allowed to dry. I then made a lemon icing with the juice of 1 lemon and icing sugar and used this to cover the top and sizes. This did not work too well – the icing I made was too stiff and I disturbed the jam underneath and got a mottled pink and white icing which then dripped down onto the base of the cake stand!! However my friends thought the cake tasted wonderful and loved the combination of flavours, so I decided to make the icing with the juice of 1 lemon, 1 tablespoon of raspberry jam & icing sugar and see how that worked. Do not cover the cake completely or it will go very soggy – cover it with a net or similar which will let the air circulate but keep insects off. I decided to test out the raspberry icing over a creamed sponge cake – I used 4 eggs and equal amounts of butter, caster sugar and self raising flour and baked them in 2 x 20 cm anodised baking tins. I sandwiched the cakes together with a layer of jam and the raspberry butter cream as above. I then made a thick icing using the juice of 1 lemon, 1 tablespoon of raspberry jam & icing sugar. This icing was not as tangy as on the original cake so I tested this again with a more pouring, dripping glaze – this time using the juice a lemon, 1 tablespoon of raspberry jam & enough icing sugar to make a more pouring glaze. 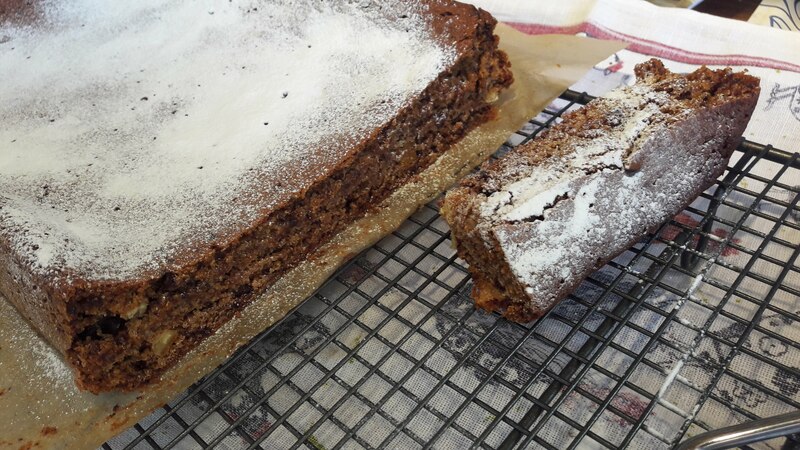 I made just one 22cm round walnut cake and cut it in half & used a poncz(sweet punch) made from 50ml of weak black tea and 1 tablespoon of sugar to drizzle the cake. With hindsight I would not use one cake again as it was hard to cut it through evenly & there were lots of crumbs – if I only wanted to use 4 eggs, I would make 2 smaller cakes. I still have not got the icing quite right – this time there was too much & it was a bit too runny – maybe just the juice of half a lemon would be enough – however the taste was very good. The cake improved over the next few days as the icing seeped into the cake. Served on Colclough – Stardust – from the 1960s. 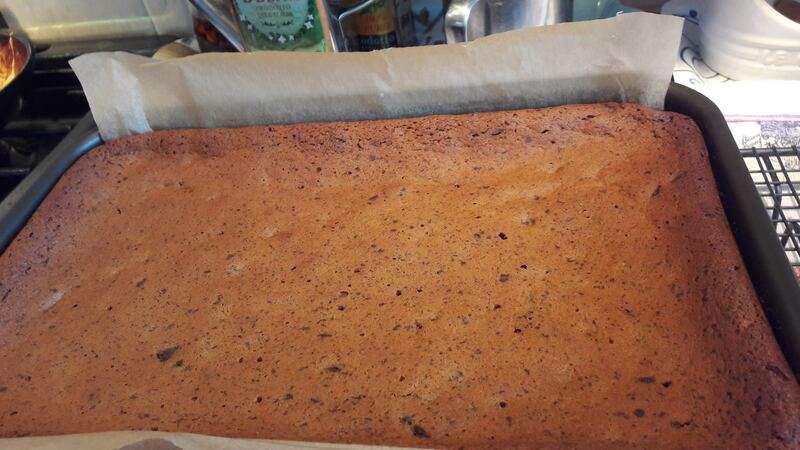 As with the cakes above do not cover the cake completely or it will go very soggy – cover it with a net or similar which will let the air circulate but keep insects off.